Heaven called our Angel home on Saturday February 9 after a lengthy hospital stay in Calgary. Judy was born in Moose Jaw Saskatchewan on August 15, 1942, to parents Leslie and Hazel Valentine. She is dearly missed and survived by Harold, loving husband of 58 years, her daughters Shelly Walper (Larry), Sherry Divins (Randy) and Cammy Pariseau (Dana). She leaves behind 7 grandchildren, Kristen Phillips (Peter), Jeremy Walper (Ashley), Shara-Lea Lovas (Dave), Ryan Divins, Jessica Ressler (Clayton), Matthew and Tyson Pariseau (Ainsley), 6 great grandchildren, sister-in-law Mary-Pat Roberts, brother-in-law Jack Fleming (Shirley), many nieces, nephews, cousins as well as many other relatives and friends. Judy will be reunited in Heaven with her Mom and Dad, 2 Brothers Les and Jim, Mother-in-law Mary Fleming, Sister-in-law Grace Fleming and Brother-in-laws Doug Fleming, Howard Fleming and David Roberts. 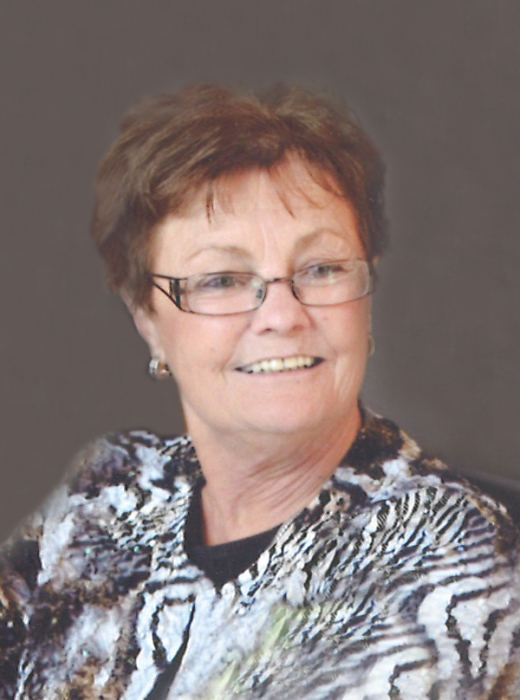 A Celebration of Judy’s Life will be held at 2:00pm on Friday, February 15, 2019 at MARTIN BROTHERS RIVERVIEW CHAPEL, 610 – 4 Street South, Lethbridge, Alberta. A Private Family burial will be held at a later date in Barons, Alberta.